Renowned as the traditional centre of England, the village was formerly the home of Triumph Motorbikes and more recently in the middle of a gypsy stand-off that made national headlines. A new university technical college will be opening in Chelmsley Wood next year. Meriden MP Caroline Spelman is demanding answers after plans for a new urgent care centre at Solihull Hospital have been delayed for a third time. Solihull Councillors have refused to accept plans to attach a modern glass building on to Grade II listed Meriden Hall. 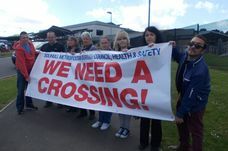 A Campaign calling for fairer funding for schools in Solihull has made its way to Government level. Residents packed Catherine-de-Barnes village hall to condemn plans for a giant M42 service station earmarked for ancient woodland. From a randy rodent to thieves stealing from grieving families, we take a look back at some of the highlights of 2014. There's even more for pampered pooches in Solihull because In The Dog House, in Meriden, has unveiled a brand new suite, sensory suite and exercise area. The awards just keep on coming for newborn baby photographer Victoria Doyle, based in Meriden. Solihull councillors have turned down the plans for the extension to grade two listed Meriden Hall, but they fear permission could still be granted on appeal after English Heritage gave its full backing to the scheme. Meriden scoops best village title for the borough in the Solihull Neighbourhoods in Bloom competition. Travellers arrived in Chadwick End in 16 caravans after gaining entry to the privately-owned field which lies behind the village hall and playground. In the Dog House is Solihull’s first dog hotel, featuring ten extravagantly themed rooms for the most pampered of pooches. 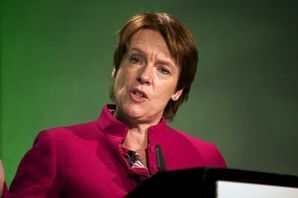 Caroline Spelman has demanded the Transport Secretary calls a halt to flight path trials across Meriden. Work is now underway on 106 new homes on a former school site in North Solihull. At Solihull's first luxury dog hotel, owners will want to stay with their pets. More than 1,600 runners, walkers and cyclists turned out to support the tenth Dorridge Fun Run, setting a new fundraising record of £35,000. Victoria Doyle's newborn baby photography business Blue Bean Photography has gone from strength to strength in recent years.